Rascovar column: Is Baltimore’s Horseshoe casino a ringer? Baltimore’s first and only casino is open — a decade later than anticipated by city officials. Horseshoe Baltimore, run by Caesar’s Entertainment, is a bright, cheery and decidedly friendly facility a short walk from Ravens stadium. It’s got a giant parking structure that allows direct access to the casino without venturing onto city streets. 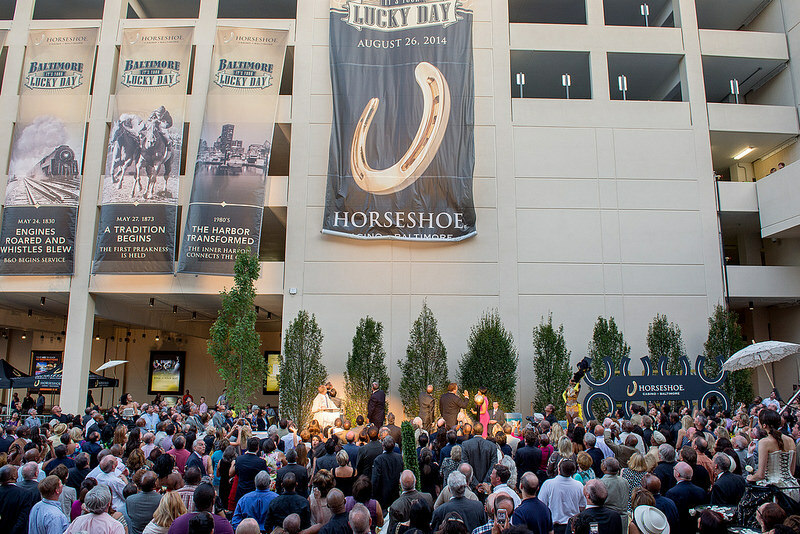 With 2,500 brand-new slot machines, 122 gaming tables and 25 poker tables, the $442-million Horseshoe Baltimore fulfills the wishes of city leaders, though it should have happened years ago. Former Mayor Kurt Schmoke had a deal with then-Gov. Parris Glendening in the late 1990s to allow a Baltimore casino for a struggling urban city in need of an economic boost. But Glendening reneged and went on a moralistic anti-slots campaign. It may have been good politics for the governor but Schmoke regarded it as a stab in the back. Baltimore desperately needed the revenue and stimulus. Granted, Horseshoe isn’t the answer to Baltimore’s woes. But proceeds from the casino will help Mayor Stephanie Rawlings-Blake slowly lower sky-high property taxes, make infrastructure improvements and eventually pour millions it now doesn’t have into community upgrades. The current squabble over using some of the casino revenue to re-locate a stream pipeline serving downtown Baltimore businesses deflects from the fact that Baltimore should receive more than $10 million in the current fiscal year from Horseshoe operations, $15.5 million or more next year and $22.5 million in fiscal 2017. That is a gift sorely needed by City Hall to help accelerate the downtown-living renaissance, deal with a serious crime problem and finally start to attack a glut of vacant housing. For Baltimore, Horseshoe’s arrival is a ringer, a home run, a winner. With 1,700 jobs — many filled by tax-paying city residents — Horseshoe is a new economic engine. Its location near the baseball and football stadiums means huge before-and-after crowds on game days and added revenue both for the casino and for Baltimore. Under terms of the state casino law, Baltimore will split with Prince George’s and Anne Arundel counties 5.5 percent of the winning proceeds from their three gambling facilities — Horseshoe, Maryland Live! at Arundel Mills and MGM National Harbor now under construction. This local impact revenue is a godsend for Baltimore. It is a new, ongoing money source that will allow City Hall to undertake projects on the back burner for years (or decades) and to balance the annual budget without draconian cuts. It’s no panacea, but it gives city officials breathing room. Baltimore is late to the casino party, but probably not too late. Gambling — legal or illegal — always has been popular in Charm City. A single casino will do well for years to come, even with a glut of gambling sites in New Jersey and Pennsylvania. Horseshoe also provides a much-needed boost for local tourism and for Baltimore’s downtown hotels. It gives visitors another reason to extend their stay or to come to Baltimore in the first place. It’s a decided plus for drawing conventions, too. Part of Horseshoe’s success will come at the expense of David Cordish’s highly profitable Maryland Live! casino. But Horseshoe will draw a more urban clientele versus the suburbanites flocking to Maryland Live! Both casinos, though, will feel the squeeze when MGM National Harbor opens in a couple of years. It will translate into smaller profit margins for both of them, but National Harbor’s main appeal will be to gambling patrons south of the Potomac River in Virginia. Six casinos in Maryland seems about the right number — three in rural locations and three in the Baltimore-Washington megalopolis. Casinos are becoming established, middle-class entertainment options that offer substantial benefits for state and local governments for their relatively stable revenue — as long as the gambling is tightly regulated and the sites are limited in number. Barry Rascovar writes a weekly column which runs first in MarylandReporter.com and then www.politicalmaryland.com. He can be reached at brascovar@hotmail.com. The planning of new town Columbia, Md., is an old story made fresh with a new hour-long documentary called “Columbia’s Promise” from Maryland Public Television that airs Sunday at 7 p.m. and will be available online throughout May if not longer.